Next time you’re stuck in a traffic jam. It’s no surprise people choose their cars. It’s safer than cycling or walking (though less than coach or train). But, importantly – it’s much cheaper than the train or bus. 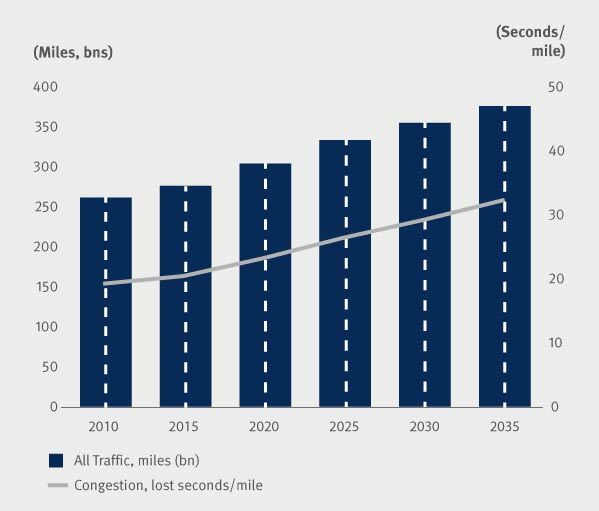 Congestion on the UK roads have been estimated to cost up to £20 billion a year – and that’s before costs of pollution, costs of accidents e.t.c. But, congestion will continue to get worse. The recent temporary decline in car use, is almost certain to be reversed as we see rising population, falling petrol prices, economic recovery and a fall in the relative cost of motoring. 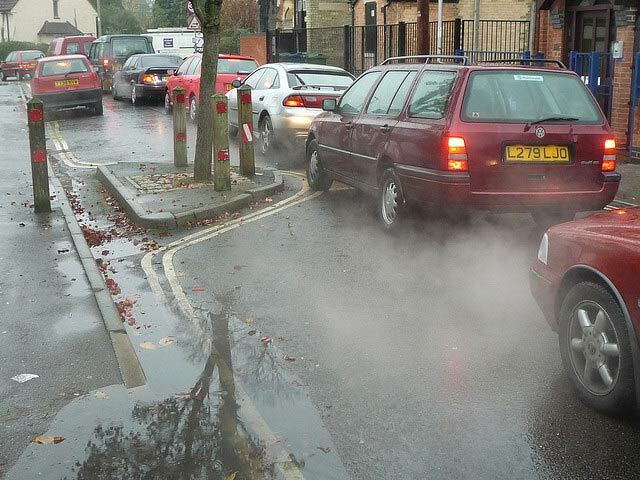 Cars have negative externalities – costs of pollution, accidents, costs of congestion, costs of unhealthy population who don’t exercise. To create a more socially efficient level of car use, it requires higher tax on petrol, higher tax on car use, and the subsidy and encouragement of alternative transport. But, do people want to pay to have a more efficient and less congested transport network? – Probably not, so instead we have this. The problem with transport policy, is that it requires a certain vision. A willingness to correct for market failure and take unpopular decisions, which have long-term benefits. Break habits of a lifetime can be hard. 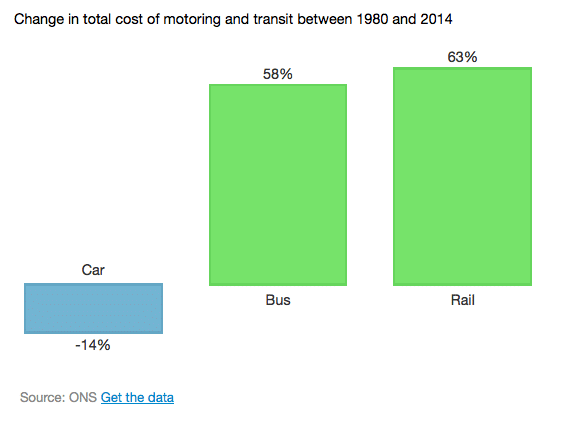 Why is cost of car use falling? 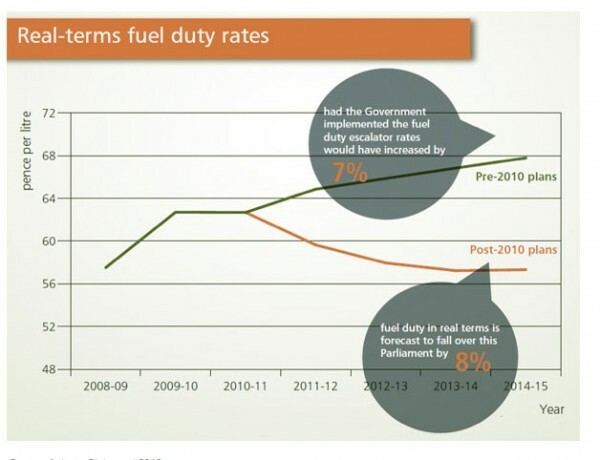 More efficient engines – use less petrol. One tank of petrol goes further than it used to. Cost of car repair has been falling. I believe subsequent governments have dropped the ball so to speak regarding affordable public transport. 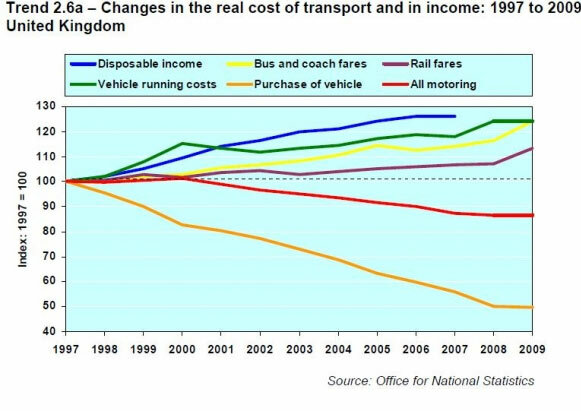 Rail transport especially is becoming ridiculously expensive compared to driving. Ps great site by the way!